Last week, my husband called me with debilitating abdominal pain and was unable to stand, let alone drive himself to a provider to receive care. As an employee of CIVHC, my brain immediately went to thoughts around the expenses we were going to incur based on the care setting we chose and services that would be rendered, especially because my husband is on a high deductible health plan. As I drove to pick him up, I thought through some of the decisions we would need to make over the next few hours to determine the cause of his pain and receive treatment if appropriate. The world of health care decision-making is seldom straightforward or simple and to complicate things even more, there are only certain choices consumers can be proactive about to avoid unexpected financial or emotional turmoil. As a young male, my husband falls into the category of being a healthy non-user of health care services (for now). Because of his no cavity, no chronic conditions, healthy diet and highly active lifestyle, we don’t regularly plan to have to pay any money each year for his health care. And, let’s be honest. Steps two and three above may not take place until the need arises. After determining that my husband’s pain could be due to appendicitis, a quick search led me to the conclusion that we would likely need some sort of imaging services, removing the urgent care near our house as an option for care (some urgent cares do provide imaging services but I called and confirmed that this one does not). There are two emergency rooms located near our home, both associated with large health systems and both with good reputations for the care they provide. I know that my plan design does not include one of the ERs in my network so the decision would have been easy if I had been the one needing care, but my husband’s plan covers both. For the pain my husband was experiencing, we had to choose the emergency room as our care setting. For a non-emergent condition, we would have chosen an urgent care for a significantly lower cost. 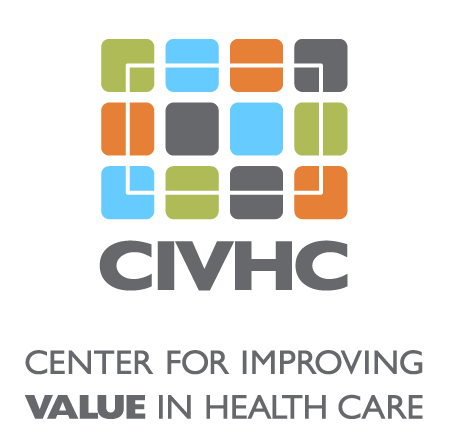 In this situation, there was no avoiding the unexpected cost we were going to incur, but because of the transparent price information that CIVHC now has available for consumers online, we will be saving hundreds of dollars. For my health care expenses, I often use the tool my health insurance plan provides that allows me to estimate my costs and portions I will pay, but in this instance, where I was not able to quickly access my husband’s plan information online, the CIVHC facility price and quality information tool was invaluable. I look forward to continuing to contribute to the work that is going into publishing price information for additional health care services.